Guests at our Grand Gala dinner in September raised a massive total of £25,000 to help design and make our life-changing specialist disability equipment. The funds raised will support projects helping disabled children access play and physical therapy and help disabled adults access sports and activities in their communities. Three short films were revealed on the night, showcasing stories from people we’ve helped. Guests were introduced to 3 year old Darcey who was born with cerebral palsy. She now has the opportunity to learn to walk independently using a customised treadmill with a set of custom made treadmill handles designed by our team. 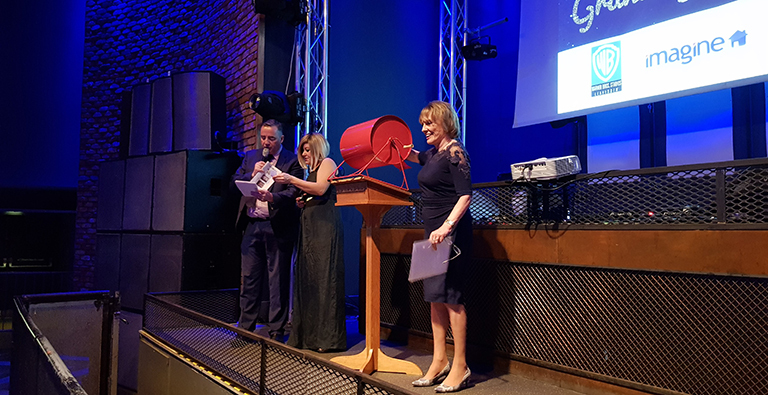 Our founding Patron and TV celebrity Dame Esther Rantzen DBE hosted the evening and spoke fondly of her support for smaller charities such as ours. 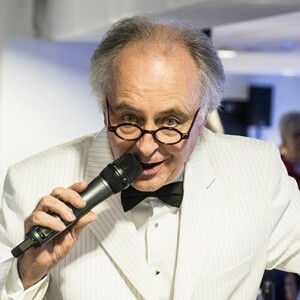 John Hunt, commentator for BBC Radio 5 Live turned auctioneer for the evening and helped to raise over £3500 in auction bids. 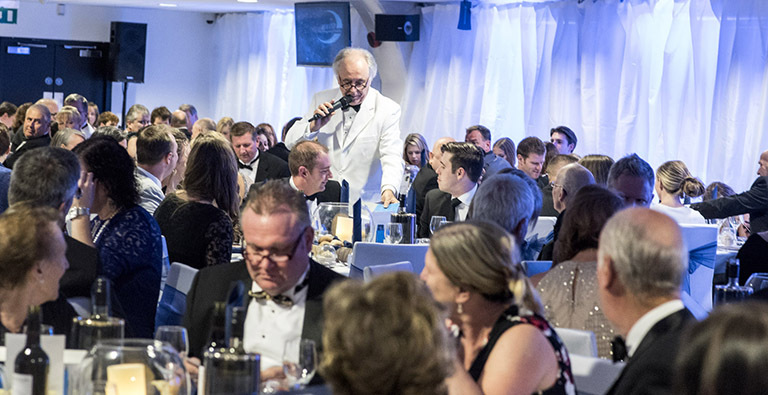 Guests enjoyed fine food throughout the evening from chefs-to-the-stars Charlie Hayes and Neil Pope of Air Culinaire Worldwide, who took a break from the usual business of catering for private flyers to treat our 116 Grand Gala guests to a memorable meal. 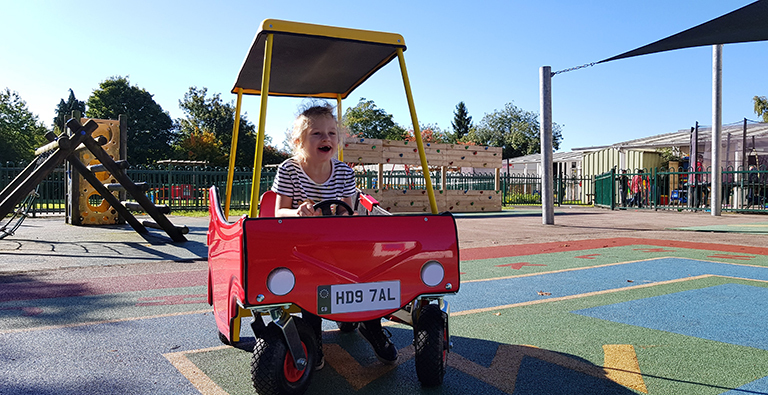 Dan Dark, Sales & Marketing Director at Warner Brothers and sponsor of the Grand Gala took the opportunity to present a generous donation of £5000, having seen the benefits of our prototype ‘Big Little Car’ for the children at Breakspeare school in Abbots Langley. Funds raised on the evening will go towards helping some of the 40 people on our waiting list who need specialist equipment that is simply not available elsewhere. 10 people on the waiting list would benefit hugely from having access to a Big Little Car to provide them with opportunities to play and engage with physical activity since they don’t yet have the balance or coordination to ride a bike or scooter. 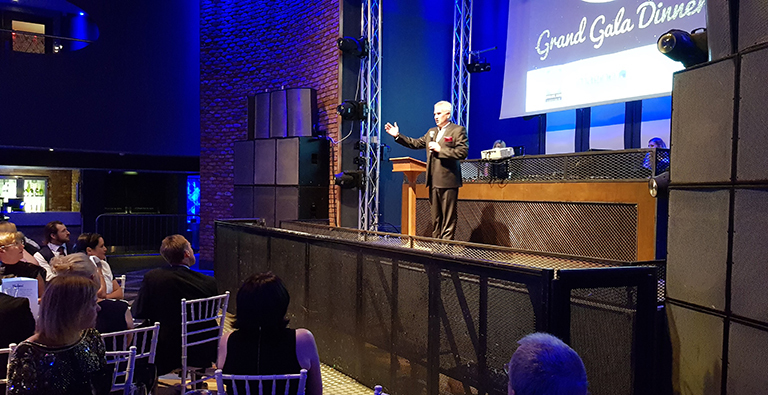 Our thanks go to each of our event sponsors; Warner Bros. Studios Leavesden, BNI Watford Junction and Imagine Group, and every guest who came along to support DEMAND on the night. Without the generosity of our supporters, we simply couldn’t continue our life-changing work. We would welcome anyone who’d like to find out more about DEMAND’s work to pay a visit to our engineering workshop in Abbots Langley to see at first hand the life-changing work of our charity. Photos of the evening can be viewed online on Bubbles Portraits Facebook page. If you would like to help more people like the stars of our short films live life their way, please donate today. Find out about more exciting events in our calendar. ‘I wanted to work with DEMAND because I see the way working with individuals makes such a huge difference to their lives. The most rewarding project I’ve worked on was for a young gentleman who has Cerebral Palsy. He had a motorised frame to lift and hold him in a standing position, but couldn’t use it properly because his feet would move under his weight. I designed an adjustable footplate with velcro ‘sandals’ to hold his feet steady. Watching him stand was such a satisfying moment for me, standing is something lots of us take for granted. This moment showed me how big a difference DEMAND’s work really does make to people’s lives. 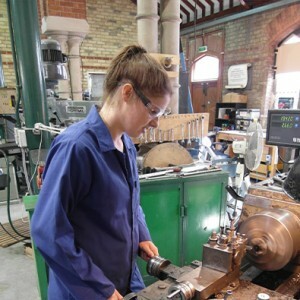 My time here has presented me with many skills I never had before, I’ve become more confident in the workshop and able use machinery such as the lathe. Skills which I hope will make me a better designer in the future! On Friday 25th September over 170 people arrived at Vicarage Road Stadium with bulging wallets and ready to change local lives. 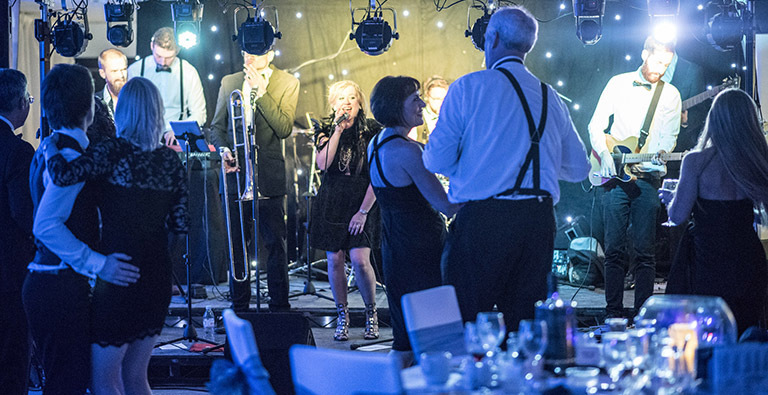 Dressed to the nines our guests enjoyed a 3 course meal and live entertainment from DEMAND’s very own Fundraising Manager Denise Gillies and her band, Queen Dee and the Hornets, who did nothing short of impress. Led by one of Chorleywood’s finest, Martin Clarkson, our guests enjoyed the debut screening of 5 short films, each highlighting problems DEMAND has been tasked to solve in order to make life easier and more fulfilled for people with disabilities and their families. 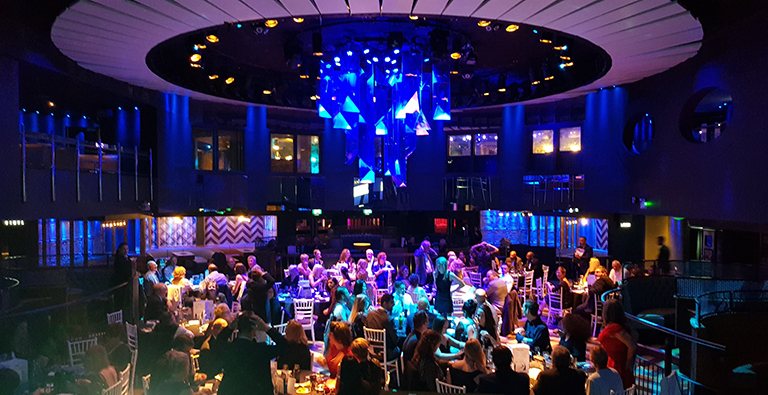 The incredible generosity of our guests on the night, coupled with sponsorship from supportive local businesses means that DEMAND has the available funding to go ahead and complete each of the 5 projects showcased on the night. Over 300 people will benefit from the custom design solutions DEMAND will make in order to overcome the challenges featured in our short films. Among those who will benefit are students at The Collett School for children with learning disabilities in Hemel Hempstead, where their teacher Anu Grey has been working with DEMAND to find a solution that lets their students take time out to de-stress and learn to self regulate their emotions. With a donation from Warner Brothers on the night DEMAND now has the funds to make enough chairs so that each of the students in the school will be able to find one quickly when they need to. This brings the grand total for the night to over £24,000! These donations are more generous than we could have hoped for, what a wonderful way to celebrate our 35th year helping people with disabilities by knowing we can help at least 300 more local people. We want to express our huge thanks to Imagine Group, Heronslea, Intu Watford, West Herts College, Bushey Hall Garage, Boys & Girls Nursery, Warner Brothers. MyNews, LaserLines and Calculus IT for their corporate sponsorship, along with EasyPro Video for producing our 5 wonderful films, Cakes of Good Taste, DJ Ian Frost, Gail D’Almaine Photography for offering their services and of course every one of our guests for helping to reach the incredible total for the night! Claire Berke, intrepid Lettings Manager at Imagine Estate Agent Group Watford, undeterred by the recent poor weather, raised over £400 this August to support the work of Abbots Langley based charity DEMAND. 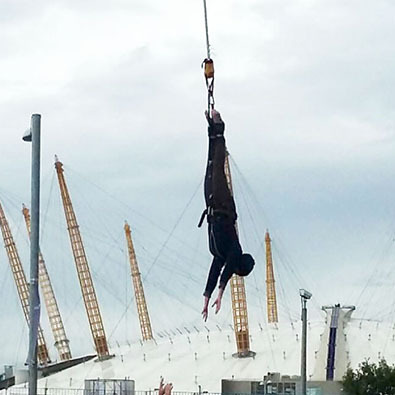 On the 23rd of August, Claire completed her first ever solo bungee jump at the O2 arena, from a height of 160ft, or as high as a stack of 10 london buses! We’re always hugely thankful when someone decides to do something special and fundraise to support us, It’s great that by completing this bungee jump Claire has spread the word of DEMAND’s life enhancing work among her friends and family. Theoretically, we could have filled the arena that day entirely with people whose lives have been touched by DEMAND’s work, which I’m sure would have made for an incredible cheer to encourage Claire! “I’ve always been interested in inclusive design. At secondary school I chose to design a pool hoist which could be used by non-disabled and disabled individuals, so when I was looking for a work placement, DEMAND instantly jumped out at me as I thought it would be a great way to expand my knowledge, as I always wanted to base my final year project around disability and inclusive design. At DEMAND I’ve worked on a garden tool holder to help a lady in an electric wheelchair enjoy her garden, a camera mount to help an individual in a wheelchair whose arms couldn’t hold his camera steady enough to take pictures, a variety of modifications to walking frames, a hooded rocking chair intended to provide a calm space for autistic school students, and the charity’s Annual Review. The most rewarding project has definitely been the hooded rocking chair. It’s made so that the visual and auditory stimuli from a busy classroom are restricted by the hood, creating a calm environment in which to de-stress. I’ve been involved in the project from assessment to delivery. It’s been amazing to have the opportunity to make all of the components with help from DEMAND’s engineering team. It’s taught me so much about manufacturing and assembly methods. Being able to deliver the chair to The Collett School and see the pupils enjoying it was the most rewarding part of all. Much loved Welwyn Garden City resident Jennifer Buck passed away sadly this summer aged 78. As a long standing supporter of DEMAND’s work to transform the lives of people living with disabilities, she requested donations from friends and family be given in memoriam to the charity close to her heart. Clearly a well loved member of the community, Jennifer’s family and friends responded magnificently and collected over £900 in support of DEMAND. Some weeks later, DEMAND were contacted by Emma Harrison, teacher and choir master at Welwyn St. Mary’s Primary School. A friend of the late Mrs. Buck and her husband David, Emma had arranged for a portion of the proceeds from the school’s Summer Concert to be donated to us. With performances from the St Mary’s Community Choir, the School Choir and the Chamber Choir, the concert was a great success as usual. 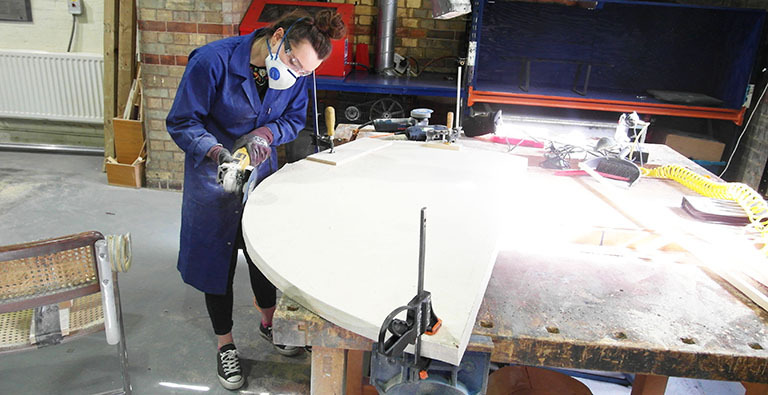 The event raised £55 which, along with the £912.12 donated in Jenny’s memory will go a long way towards helping someone in the community in need of DEMAND’s invaluable custom design and manufacture service. 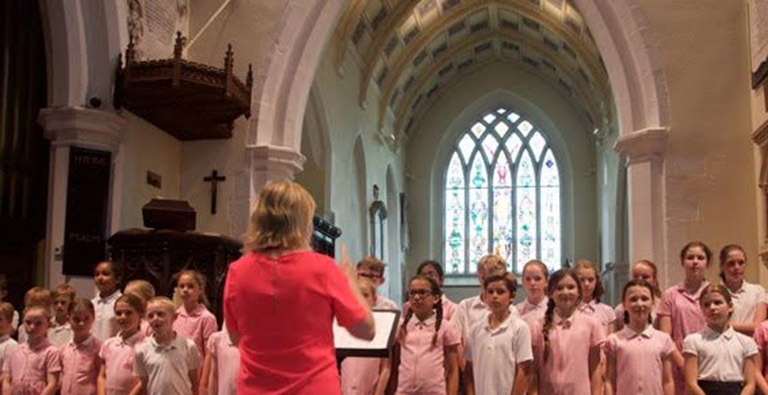 We are grateful to everyone who donated at the Welwyn St. Mary’s Summer Concert, and also to Jenny’s friends & family for their kind and generous support. Find out about leaving a gift to DEMAND in your will, so that your legacy can directly help people receive specially designed equipment tailored to their needs. DEMAND are grateful for all donations, large or small as they ensure we can continue to offer our valuable services to people living with disabilities. Get in touch to find out about leaving a gift in your will. We are extremely grateful for the contributions made by Jenny Buck during her life and for all of the support shown in her memory. Asking for donations in memoriam at Jenny’s funeral has meant that many more people have learnt about our invaluable work. The fact that the donations have kept on growing through Emma Harrison at Welwyn St Mary’s Choir is a testament to David’s incredible efforts to spread the word of our work to help people living with disabilities, and for that we are most appreciative! 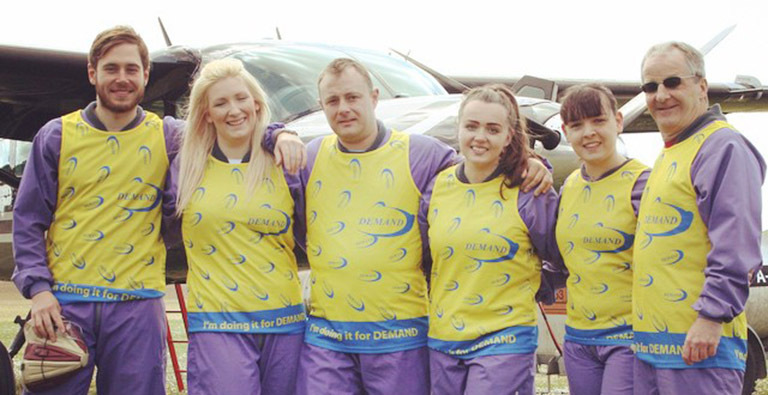 On Saturday the 16th of May Hollie Collins, pictured 3rd from right, a student on placement at Abbots Langley charity DEMAND completed a superhero skydive from 10,000 feet, raising much needed funds to support the charity in its aim to transform the lives of people living with disabilities. DEMAND are always in need of donations and the money raised from this year’s skydive will go a long way to help people with disabilities not only in their everyday lives, but also enable participation in education, sports and leisure activities. After an incredible response to the search for fundraisers, Sadie, James and Dean from Imagine Estate Agents, Rebecca and David (all pictured) gave up a sunny Saturday at home to accompany Hollie to the North London Skydiving Centre where they received training before taking off from the airstrip around 10 am. Thankfully the skies were free of clouds as the group jumped from the plane, each firmly affixed to the front of an experienced skydiver. After free-fallling at over 100 miles an hour parachutes were deployed, letting the group take in some incredible views of the leafy Oxfordshire countryside. As heart rates returned to normal after touching down on terra firma, the group celebrated a grand total of over £2,000 raised in aid of DEMAND’s work in the local area and across the country.